We love to help our customers shop by doing some of the brunt work for them. We have done the research, and we will continue to research new models as they come out. 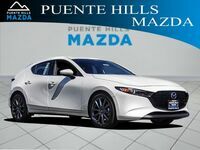 Today, we have found information on two popular hatchback vehicles which we will compare: the 2018 Mazda3 5-door and the 2018 Hyundai Elantra GT. Both vehicles are spacious on the interior, a key feature of the hatchback style. They only differ .1 cubic feet in interior passenger volume, with the 2018 Mazda3 5-door having 96.4 cubic feet. 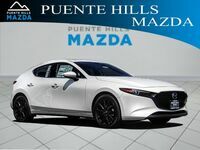 We wouldn’t find it easy to choose between two quality hatchback vehicles either, although we tend to favor Mazda vehicles for their extensive technology features and sleek designs. Keep reading below for a side-by-side comparison of the 2018 Mazda3 5-door and the 2018 Hyundai Elantra GT. As we mentioned above, the 2018 Mazda3 5-door and the 2018 Hyundai Elantra GT differ by less than a cubic foot of passenger volume, but how that volume is distributed does differ slightly more. The 2018 Mazda3 5-door gives more shoulder room to front passengers than the 2018 Hyundai Elantra GT, but the opposite can be said of rear shoulder room. In terms of leg room, they tie with 42.2 inches of front legroom each, but the Mazda3 has an additional inch of rear legroom with 35.8 inches, compared to the Elantra vehicle’s 34.8 inches. The variances in proportions may suit people differently, but really it is about how you make use of it, and the Mazda3 is packed with fun features such as the MAZDA CONNECT ™ Infotainment system. Ultimately, these vehicles have a lot in common, from a starting MSRP that only varies $5 to an interior space that is nearly identical. 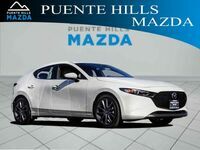 However, it’s the little things that make a big difference such as the six extra miles you will get per gallon on the highway if you choose the 2018 Mazda3 5-door. 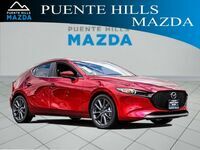 If you are interested in learning more about the 2018 Mazda3 5-door come into Puente Hills Mazda today.